Lawsuits claim the Sorin 3T Heater-Cooler System spread bacteria during heart and lung surgeries, causing serious infections and deaths. The majority of the lawsuits have been combined into a single federal litigation. In February 2018, a federal panel combined 39 Sorin 3T Heater-Cooler System federal lawsuits from around the U.S. into a multidistrict litigation (MDL) in Pennsylvania federal court. As of December 2018, there were 86 lawsuits pending in the MDL. No trial date has been set. The lawsuits claim Sorin 3T Heater-Cooler devices spread nontuberculous mycobacteria (NTM) infections during open-chest surgeries. These infections led to other serious medical conditions or death. The U.S. Food and Drug Administration has confirmed that NTM can cause infections in patients with compromised immune systems. This includes patients requiring heart or lung surgeries. These are among the types of surgeries for which heater-cooler devices are most used. There is also an active Sorin 3T Heater-Cooler class action lawsuit. It demands the devices’ manufacturer arrange for monitoring of patients who underwent surgery with the devices. NTM infections may take years to show up. Patients’ lawsuits claim they developed hard-to-treat infections after surgeries using heater-cooler devices. Lawsuits blame several debilitating or life-threatening conditions on NTM contamination from Sorin 3T heater-coolers. The aortic root is the section of the largest artery in the body where it is attached to the heart. Aortic root abscess is a severe infection of the aortic valve and nearby tissues. Treatment requires surgery. The myocutaneous thoracotomy flap is a piece of tissue, including skin, which is partially cut from the body during chest surgery. This procedure includes an infection risk. This is an infection of the inner lining of the heart chambers and valves. Symptoms include fever and chills, fatigue, aching joints and muscles, shortness of breath and chest pain. This complication affects the double-walled sac around the heart. It can also damage the roots of the large blood vessels near the heart. The condition is life-threatening and requires surgery. This is a pocket of infected fluid and pus inside the belly. This condition is an infection that mimics an aneurysm. The aortic arch is the portion of the main artery that bends between the ascending and descending aorta. A pseudoaneurysm happens when a blood vessel wall is injured and surrounding tissue captures and contains spilled blood. This is a condition in which pus collects between the lungs and the inner chest wall. This pus has to be drained with a needle or removed through surgery. In October 2016, the Centers for Disease Control and Prevention and the FDA issued safety notifications about Sorin 3T devices. The CDC reported a genetic similarity between strains of NTM found in patients and in the devices used at hospitals in Iowa and Pennsylvania. The report said devices made before Aug. 18, 2014 may have been contaminated during the manufacturing process. 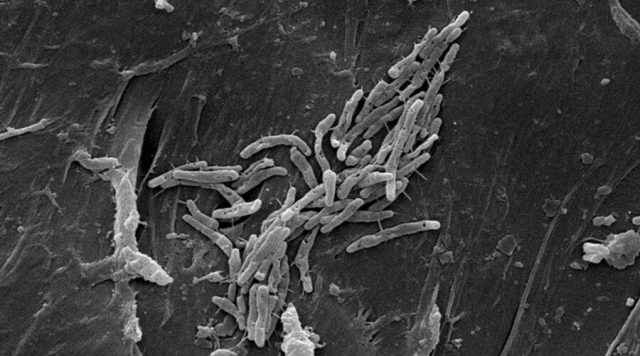 M. fortuitum is classified as a “rapidly-growing” NTM infection. The FDA also found the first incident was reported in 2012. Based on those dates and other information, the FDA estimated that over a half million patients may have been exposed to NTM. 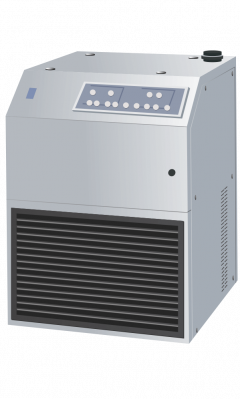 At the time, the Sorin 3T heater-cooler was used in roughly half of all heart surgeries performed in the U.S.
Sorin recalled the 3T Heater-Cooler System in June 2015. It cited the potential for contamination that could lead to NTM infections in patients. The recall affected 1,755 devices. Following the recall, the FDA inspected LivaNova’s Munich manufacturing plant in August 2015. The agency sent inspectors to the company’s Arvada facility in August and September 2015. The FDA later issued a notice saying inspectors found conditions in the Munich plant that did not conform to FDA standards. The Sorin 3T devices were originally branded as the Stockert 3T Heater-Cooler System. The Sorin Group originally manufactured the devices. Sorin merged with Cyberonics Inc. in October 2015 to create a new company called LivaNova. Lawsuits name the new company as well as U.S. and German branches of Sorin. The first lawsuit over Sorin 3T-related infections came in June 2016. The number grew quickly as several hospitals alerted patients that they may have been exposed to bacterial contamination. Some patients had suffered for months — or even years — unaware that their medical conditions were due to a bacterial infection. On Jun. 27, 2016, Lori Weinacker filed the first Sorin 3T heater-cooler lawsuit in a South Carolina federal court. She claimed her husband, Henry Weinacker, died of an infection following a heart bypass surgery using a Sorin 3T device in 2014. Henry Weinacker’s surgery took place at Greenville Health System (GHS) Hospital in Greenville, South Carolina. The hospital experienced an outbreak of m. abscessus — a type of NTM infection — around the time of his surgery. GHS sent warning letters to patients it believed had been exposed to the bacteria. Henry Weinacker was one of 180 patients it contacted. He developed infection-related complications and needed further surgery and antibiotic treatment. Henry Weinacker died of the infection about three months after his bypass surgery. The lawsuit claimed the device used in Henry Weinacker’s surgery was one of the devices Sorin recalled in 2015. On Sept. 19, 2018, Armando Lopez filed a Sorin 3T lawsuit in a south Florida federal court claiming a subsequent infection led to organ damage. Lopez underwent heart bypass surgery at Westside Regional Medical Center (WRMC) in Plantation, Florida in June 2014. The first symptoms of infection showed up less than a month later. Lopez was treated for a nagging cough and other problems — but not for NTM exposure — through the end of 2016. In January 2017, Lopez received a letter from WRMC saying he was one of several patients exposed to M. chimaera bacterial infection associated with a Sorin 3T machine. M. chimaera is a type of NTM bacteria. Lopez showed the letter to his doctor who immediately began treating him for m. chimaera infection. The powerful antibiotics required led to hearing loss and damage to Lopez’s lungs, liver and kidneys. There have been at least three Sorin 3T Heater-Cooler class action lawsuits filed. In March 2016, Edward Baker and Jack Miller asked a Pennsylvania federal court to certify a $5 million class action lawsuit. It sought medical monitoring for about 3,600 Pennsylvania patients potentially exposed to NTM. The patients included all those in Pennsylvania who were potentially exposed to bacteria during surgeries using Sorin 3T devices. NTM infections can wait in the body for years before causing serious injuries. That lawsuit is still active. In September 2018, the judge issued an order for both sides to appear in court by mid-November to discuss the status of the case. Two other class actions were dismissed. In January 2017, Steven Foster filed a class action in South Carolina. Foster later withdrew his lawsuit but gave no reason for his decision. In May 2017, Jeri Pickrell filed the third heater-cooler class action lawsuit. Like the Baker lawsuit, Pickrell’s sought medical monitoring for people potentially exposed to NTM. But a federal court in Iowa dismissed Pickrell’s request in January 2018. It found Pickrell was unable to show she had actually been injured.